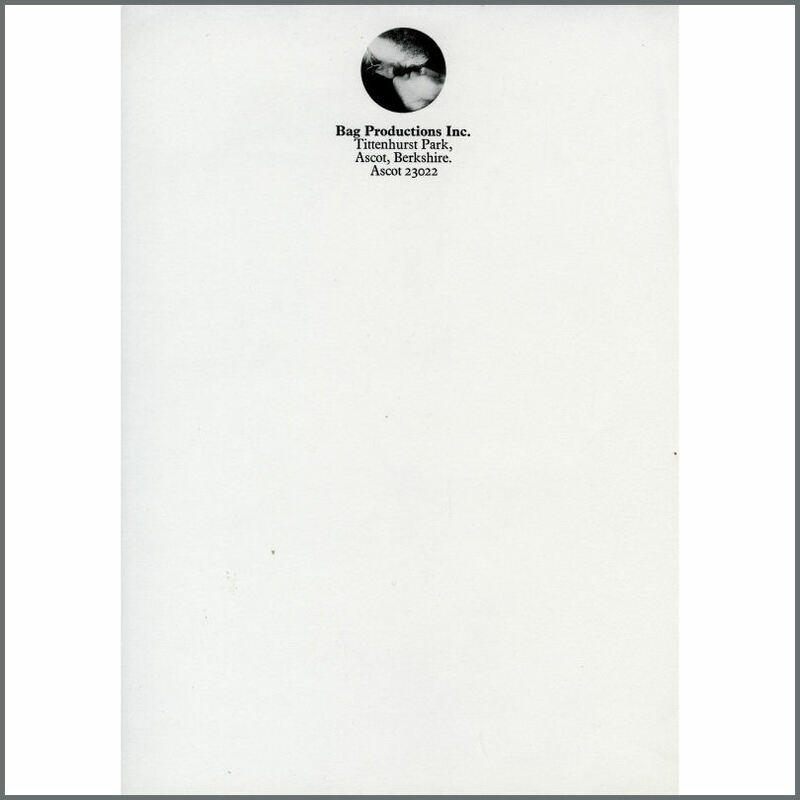 An original sheet of unused letterhead paper for John Lennon and Yoko Ono’s late 1960s public relations company, Bag Productions Inc. The sheet of paper is printed with the company logo at the top with the address ‘Tittenhurst Park, Ascot, Berkshire, Ascot 23022’. It measures 21cm x 29.75cm (8.25 inches x 11.75 inches). The condition is near mint.